Do you love to play sports? Are you having trouble with your vision? Your Raleigh optometrist can help. Get in contact with Dr. Kiarash Bassiri regarding eyewear for athletes. When you visit our office, we will discuss which protective eyewear is best for you. The right eyewear is important because it can help you meet your athletic goals and keep you from getting injured as often. There are a lot of options available. For example, we offer prescriptive swim goggles, diving masks, and tinted ski goggles. Hunters may want to take a look at our shooting glasses, which are resistant to scratches. We have sports goggles that will protect the eyes, as well as sports sunglasses and much more. If you love to play sports and you want only the best when it comes to your eyewear, get in contact with us as soon as possible to set up an eye exam. We are happy to talk to you regarding any questions that you have, and we will work to come up with the best treatment plan possible. You do not need to compromise when it comes to your eye wear; get something that will help you to perform at the highest level possible. It does not matter whether you are a professional athlete or just someone that enjoys getting out and playing a game every now and then. Our Raleigh eye doctor can help you meet your athletic goals by ensuring that you can see well. Everyone knows that there are certain skills an athlete needs to succeed. You must be fast and flexible, for example. You have to be strong and possess good sportsmanship. However, you also have to be able to see well. If you can’t see, how are you going to put the bat on the ball or catch a football? Your vision must be sharp to do all the things you need to do to succeed in your given sport. Depending on what you are playing, you may need good peripheral vision or depth perception, for instance. We understand how important good vision is to an athlete. We know that it will make a difference in how you play. We can help you reach your goals by assessing and correcting your eyesight. We will give you an exam and determine the right prescription for you. 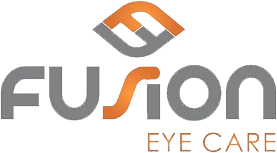 Dr. Bassiri will also discuss vision therapy techniques that can help you improve your eyes! Your eyes are muscles, and if you give them a good workout, they can help you reach your athletic goals!